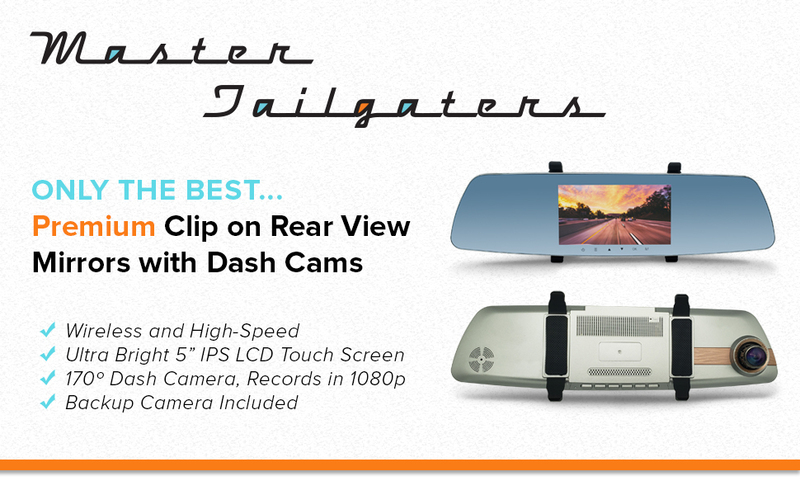 Quickly and easily modernize your car with this clip on rear view mirror with dash cam and back up camera display. A backup camera is included along with everything else needed for setup. The mirror is wireless! It can be charged via a standard cigarette lighter power adapter and the backup camera gets power from the reverse tail lights, making setup quick and simple. With automatic recording, a G-sensor, and vibration/motion detection parking mode, you can be assured your dash camera will not miss anything. - Mirror Dimensions: 12.5" x 3.25" x 1.5"